Ray C. writes: I have 4 “California gold” proof coins, dated 1853, 1857, 1859. The 1853 has a octagon shape with Indian head, the 1857 is round with Indian head, and the two 1859 coins have what i think are liberty heads – both are octagon shaped, but are different sized coins. 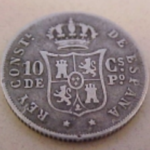 I have been looking for any info related to these coins and so far have not been successful. I would appreciate any help you could provide. Thank you. The Gold rush period in California (1849-1857) found the inhabitants without sufficient coins for commerce. All that gold and no coins to spend. Ingenuity and great need was the impetus for the creation of the many privately issued gold coins and ingots. 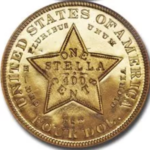 Around 1852 small gold coins with a denomination of a 1/4 dollar, 50 cents and one dollar were produced by jewelers, bankers and others in California to help alleviate the shortage of small change for commerce. These little coins were either shaped round or octagonal but they all stated the denomination on the coin. The designs were similar to other larger denomination territorial pieces in that the obverse shows a representation of Liberty facing left, sometimes wearing a crown or Indian headdress. Stars are around the bust but not always the traditional 13. 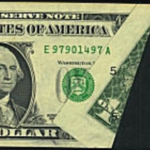 The date is below the bust, although on some pieces, it may appear on the reverse. The reverse design shows a wreath, the legend around CALIFORNIA GOLD and the denomination expressed as CENTS, DOL. DOLL. or DOLLAR. 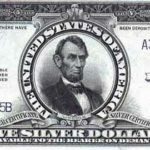 After about 1856, as regular United States coinage began to flow into the area, the acceptability of these pieces declined (they were often debased below their face value) and they became souvenirs or items for jewelry. The Act of 1864 declared these coins illegal but they were manufactured anyway, at least until 1882. The designs tend to be crude and often incomplete. The later issues were struck on highly polished flans giving them a “proof-like” appearance. There are no proofs. 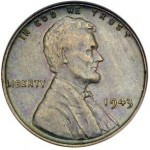 Genuine pieces have the words CENTS, DOLLAR or an abbreviation of these words on the reverse. There are no bears or other animals on the designs of the original tokens. There are modern reproductions in gold that were sold at the Panama-California Exposition in 1915-16. These have no denomination and are worth a nominal amount. There were many later issues produced as souvenirs, many struck in low-grade gold or copper with a gold wash. There are also 20th century souvenir versions, some struck in 1917, without denomination and even modern versions with bears minted in brass. These “non-denominated” pieces have nominal value. There are also reproductions in gold plated brass manufactured after about 1950. These are worthless. Only about 10,000 genuine pieces still exist and more than 500 varieties have been identified, some are very rare. Most pieces show the coin maker’s initials somewhere on the coins. Examples are: N, NR, L, H, G, GG, FD or DERI. Market value depends on the denomination (25c, 50c, 1 dollar), type (round or octagonal) and grade (condition).